Recipe Box, Sensational Sides, in seconds! Tired of the same old pairings like steak and potatoes? These side dishes are guest worthy divine, but you can create them easily in minutes! 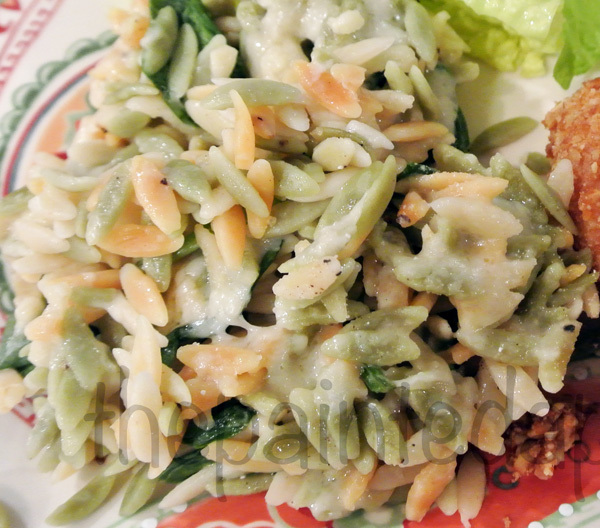 Wow your guests or your family with Steaks with Blue Cheese Sauce, and Spinach Parmesan Orzo. 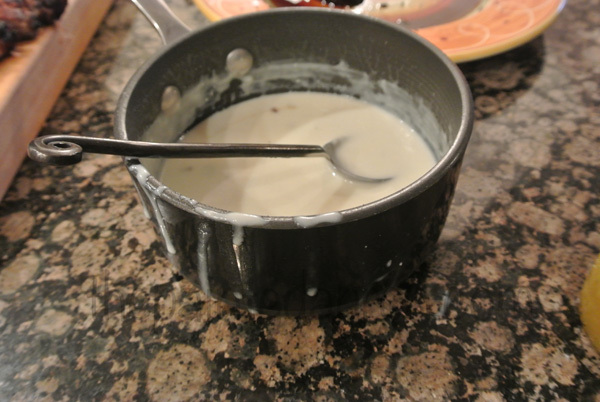 The Bleu Cheese Sauce is a lightened up version of traditional Gorgonzola Sauce because it is made with 2% milk instead of heavy cream. 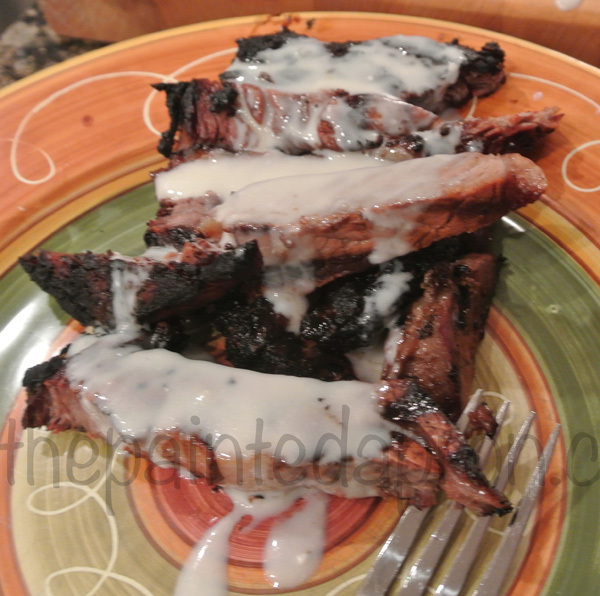 It is also thinner so it adds flavor without drenching your meat in a heavy, gloppy sauce. 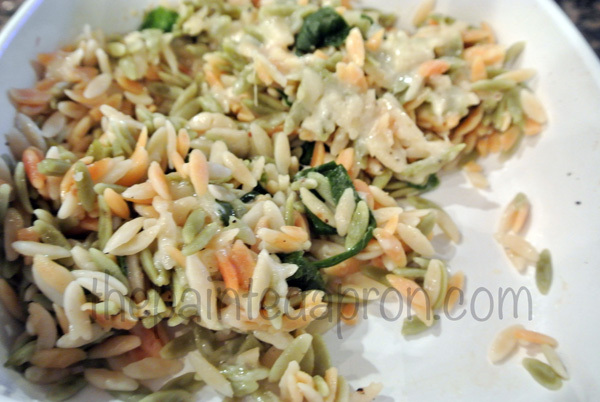 Orzo is an often forgotten little pasta which is a sized and shaped more like rice. 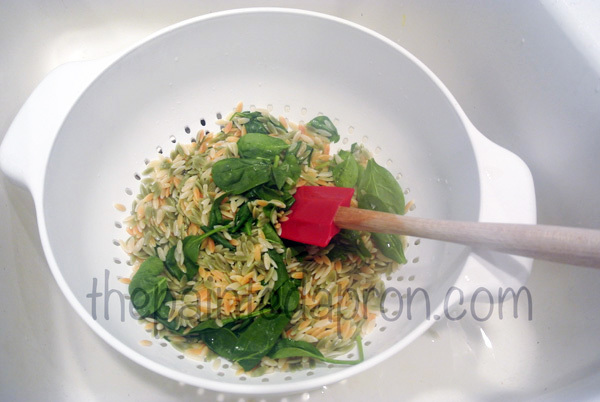 The Spinach Parmesan Orzo couldn’t be easier to make and it is so light and delicious! 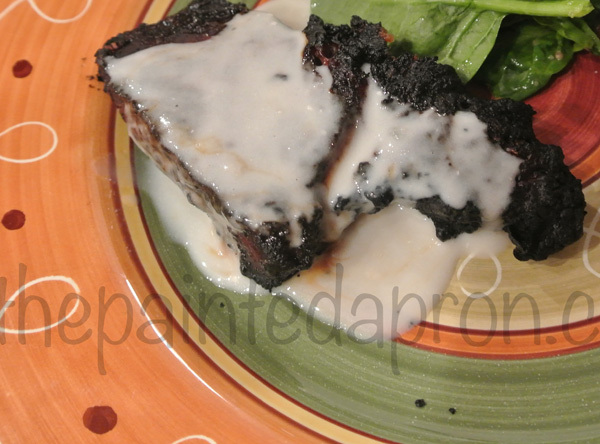 It is great leftover or as a base for salad. I made the sauce right before the steak was done, it really only takes 5 minutes. You bring the milk and flour to a boil, let it cook for one minute and then stir in the butter and cheese.. Ignore the sauce running down the sides of the sauce pan, I am really messy enthusiastic when I cook! 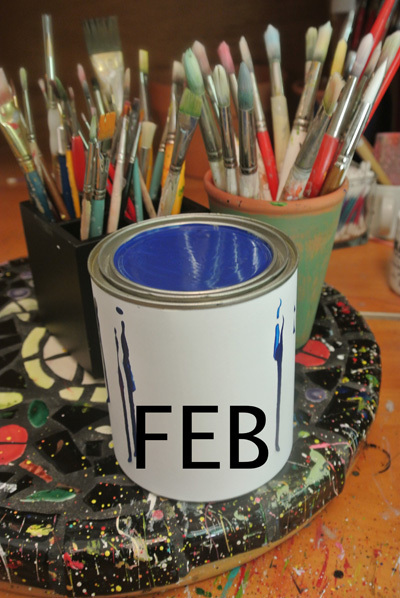 Spoon this delectable bleu flavored sauce liberally over your steak and be prepared to go to heaven. At this point you can refrigerate it until ready for baking. Bake at 325 for 30 minutes or until hot and the cheese is melted. 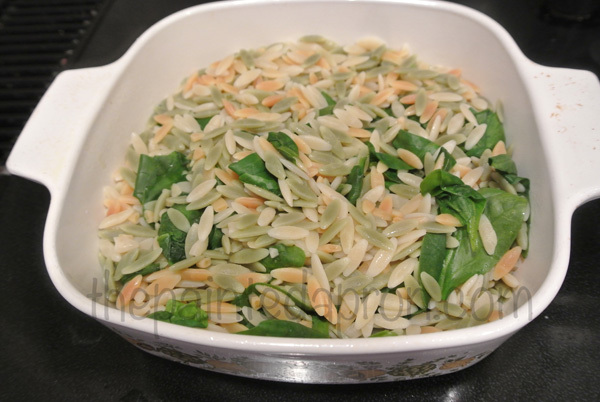 Cook desired amount of orzo according to package directions either in water or chicken broth for extra flavor. 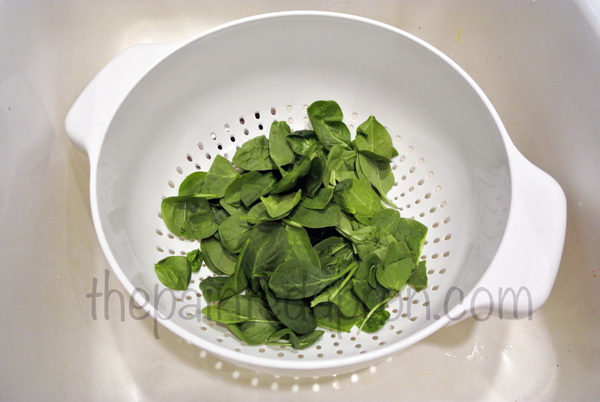 Line a colander with fresh spinach and drain orzo into colander, wilting the spinach. Stir. 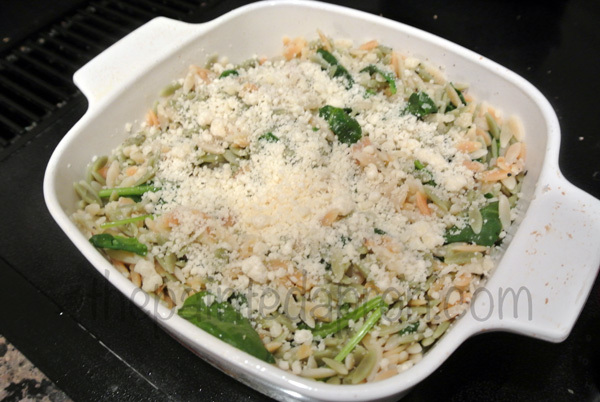 Turn into a sprayed baking dish and toss with Parmesan to taste. Sprinkle additional Parmesan over top and refrigerate at this point if desired. When ready to bake, place in a 325 oven for 30 minutes until hot and melty. Wow – my mouth is watering. Sounds so delicious – especially the blue cheese steak….